Q. How about maintenance cost and service provided? Q. My height is 6.1 so is it ok for me? Yes Absolutely Perfect for you ! Q. Whether FZ 25 good for long travel or not and what is its top speed? It very good for long drive and top speed 135. Max speed 115kmpl no vibrations. Q. When ABS will come in this bike? ABS version is not available in india yet. But if it does it may cost 10,000 - 15000 extra as compared to the actual version. Q. DOES FZ 25 HAVE KICK AND SELF START OPTION? Q. FZ 25 has short gear ratio or long gear ratio. I want motorcycle for highway riding only? So please advice. Q. Hi guys! I want to buy FZ 25 for touring.so can anyone tell me is that good for hill areas? Q. What is the service cost for FZ 25 in a month? Q. Mileage of this bike in city? How much does it cost in Chennai? Does it have any vibrating issues at speeds close to 90 or more? Is it worth buying? City mileage is no less than 32km/L in any way. You need to check with your local dealer for on road price at Chennai. There is no vibration even at a speed of 100 km/h but beyond 100 you feel little vibration. Q. My height is 5.4 can I ride Yamaha FZ 25 comfortably? Q. Is this bike better than FZ 25? Q. Is MT-15 better option than FZ 25? Q. Which one is better to buy between FZ 25, NS200 and Classic 350? Q. What is the top speed for FZ 25 and Duke 250? Q. Is there any vibration? Q. What is the price of Yamaha FZ 25? Q. What is the mileage of Yamaha FZ 25? Q. 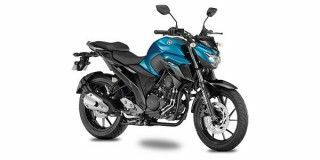 What are the specs and features of Yamaha FZ 25? Q. What are the top competitors of Yamaha FZ 25? Q. What are the top variants of Yamaha FZ 25? Q. What is the EMI of Yamaha FZ 25? Q. What are the colours available in Yamaha FZ 25? Q. What is the top speed of Yamaha FZ 25? 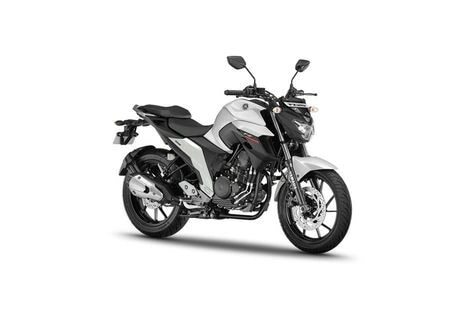 Confused about Yamaha FZ 25?